Different types of construction call for different lighting approaches. Whether new construction, remodel of existing spaces or retrofit of legacy-technology luminaires, Tarrant Lighting has the expertise to make your project a success. 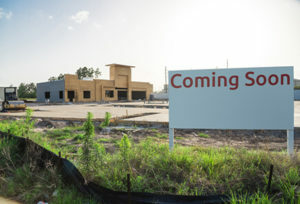 New construction expands your footprint. Utilize Tarrant Lighting’s expertise to assure that you get your lighting right the first time. Today’s lighting technology can benefit your business like never before. From energy efficient, low maintenance LED solutions to occupant empowering lighting controls, great lighting has a significant impact. Tarrant Lighting is here to help. Let us show you how including a lighting upgrade in your remodel project can enhance your business success. We can select and recommend efficient lighting technologies, apply for available energy rebates, calculate your ROI, coordinate the installation, and handle any required warranty support. Lighting accounts for 17% of commercial electricity consumption, representing a great opportunity to reduce your cost of ownership while also improving quality of light and reducing maintenance. Sometimes, the best approach to a lighting upgrade is to retrofit the existing luminaire. 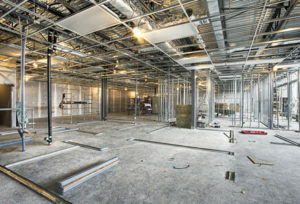 Retrofits minimize the disruption to the ceiling and building and can often be performed at minimal installation cost. Today, retrofit kits are available for troffers, downlights, exit signs, outdoor and many other luminaires. 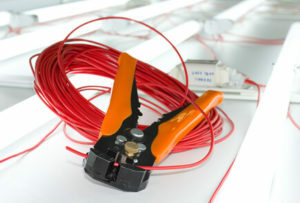 Retrofits enable owners to reduce energy and maintenance cost while improving quality of light. Often, the luminaire can be upgraded to a fresh new aesthetic and can even include controls capabilities.